I've written before about being very lucky in the circumstances around adopting Charlie. 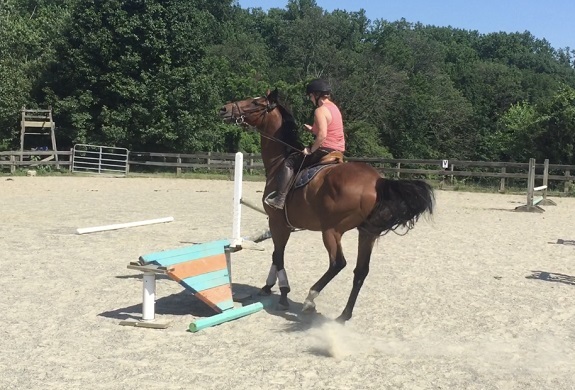 A couple weeks after his final race in 2016, his connections placed him at an organization dedicated to rehabbing and rehoming OTTBs. His former owners and trainers had funneled a few horses through this organization previously (and since, I believe) so the woman who runs the program was pretty familiar with them. Plus, I knew a number of horses who had been rehomed by the organization too (hai, Bali!! and others!! ), and the organization administrator and I have some close mutual acquaintances. All this added up to a situation in which, while none of us really knew each other personally or well, we all knew enough about all the other parties to feel pretty good about things. 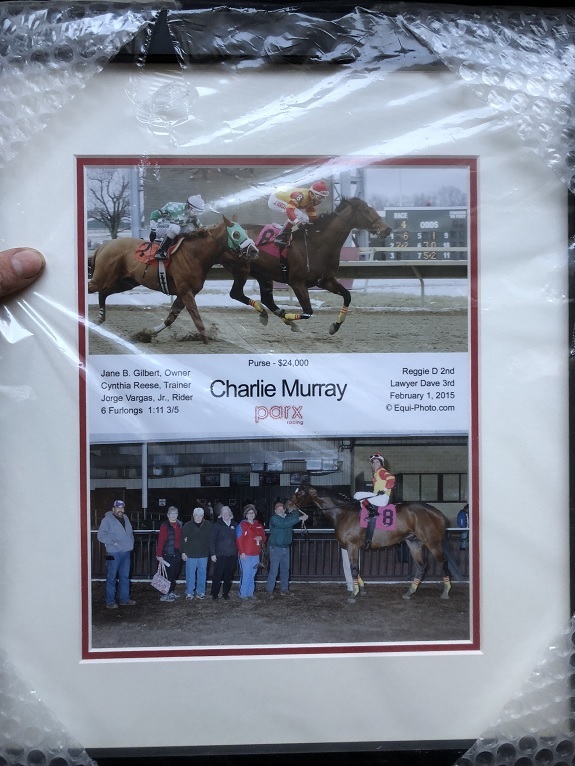 So I was able to get in touch directly with Charlie's former owners and trainers, all of whom were really friendly and candid in telling me all about their time with the horse. They each provided their own versions of his full history, their favorite stories, and little details about what made Charlie so special and lovable. Bc yea, it was pretty clear from the start that they all each cared deeply about the horse. But, generally speaking, I send the group an email or two a year - usually with some picture of Charlie looking fabulous or with a fun recent cross country video or something (or like that time Charlie made the front page of US Eventing lol...). One owner, in particular, always replies that he'd love to set up a time to come visit. At first I was really excited at the prospect, but months went by with nothing materializing. So I kinda figured that it might not actually ever happen. But lo! Last week he emailed me again saying he'd be in the state for his daughter's lacrosse tournament, and was I around for a visit?? Why Yes, sir! I am!! Everything worked out and he found the farm without issue. Charlie for his part was kind enough to be reasonably clean, currently uninjured, and in a particularly hammy mood lol. So we got to hang out for a little while - with both of us cramming the spoiled rotten pony full of carrots, brushing him off, taking lots of pictures, and generally recounting all of his favorite Charlie stories and histories. I guess this particular owner had first claimed Charlie as a 3yo, and over time used various trainers and partnered with different owners. I had understood some of Charlie's history (esp some of the more unfortunate health- and wellness-related aspects) from his last trainer, and was able to learn more from this owner who actually owned the horse during that time. 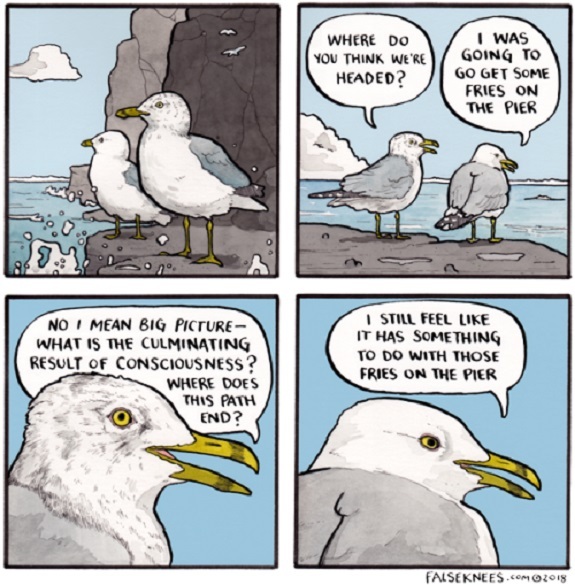 Very insightful! Plus it was kinda cool to hear him go on about his enthusiasm for horses (he's currently got a couple other race horses right now too - down in Kentucky and also back up in Delaware) as someone who isn't really as involved in the day to day handling and care of horses. All in all, it was really great meeting him. He was very kind and seemed genuinely happy to see Charlie looking healthy and happy in his new life (like when one of the very small pony riders at my barn came skipping up alongside Charlie and he immediately lowered his nose to her to say hi <3). 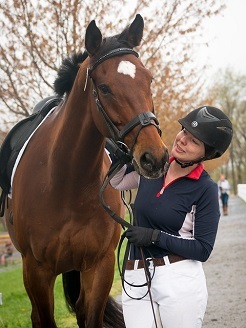 And for my part it was really cool to meet this complete stranger who loves this horse just as much as I do. And who jokingly said that his daughters refer to Charlie as "their little brother" lol. So often we hear stories of ambivalence or neglect from owners and trainers at the track. Like the impression that these horses are somehow considered disposable and discarded the moment they're no longer profitable. Maybe that's true somewhere, or sometimes, or in some cases... But I tend to believe it's less common than we might think. And it definitely was not true in Charlie's case haha. And I feel super lucky to have gotten to speak with and now meet some of the people who were so influential in Charlie's life from age 3 to 7. Feels like I have a real piece of Charlie's past now. Have you ever gotten to meet your horse's previous owners? Or get any glimpses into their histories? 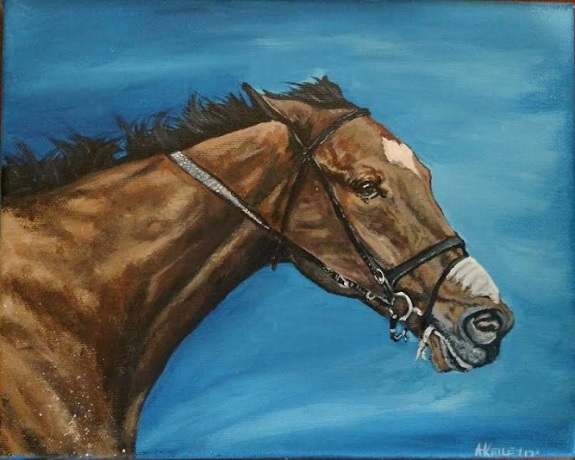 Or is your horse's background more of a mystery? Amid the fallout from Plantation, I've been kinda systematically checking through all facets of Charlie's and my riding habit. Including reviewing all gear, esp fit. My Bates jump saddle has been dearly beloved since the very first time I sat in it. I love it. Deeply. But it was never a perfect fit for Isabel, and isn't really perfect for Charlie either. The adjustable tree, wool flocking, and my shimmable Pro-lite half pad have allowed it to get pretty close tho. After Plantation Charlie's massage therapist thought he had some soreness related to the saddle. Considering he's gained a metric ton of weight since his surgery, rehab, winter, and subsequent spring filled with luscious grass, it might make sense that the tree is pinching him a bit. Charlie's proportionally not a wide horse. He is, however, size Large. So I decided it was time to size up in gullet plates for him anyway. Meanwhile, tho, I got to wondering if possibly it was time to rethink my Bates altogether. The main issue with the Bates being: the panels aren't quite the right shape for Charlie, and it's possible that a wider gullet will just exacerbate that issue. I'm not sure yet if that will be the case bc I haven't tried the new plate tho, since Maryland Saddlery happened to have this lovely Beval Monoflap on hand that looked ripe for a trial. I ran a lot of financial simulations in my head and figured out a path wherein I could afford it.... But to do so, it would have to be PERFECT. Like, beyond a shadow of a doubt. Esp considering I'd be switching out an adjustable tree with wool panels for a fixed tree with foam panels, there needed to be a strong feeling like this new saddle would work. And honestly it looked prettttty close on the horse. I wasn't thrilled with the amount of clearance, but the panels were nice and even down the length of his back, the balance looked good, and there were no tight spots. If anything, the front of the saddle was a titch wide - meaning there was room for some shims that would also improve clearance. I tried it the first time with just a regular half pad, and no extra shims. Right away the saddle felt very different from mine: It has a visibly wider twist (which I noticed when I first picked it up) and kinda a hard, shallow seat. I wondered if I would feel secure in it. But after riding around for a while, I decided that I actually quite liked it. The wider twist naturally made me sit back more on my seat bones instead of rocking forward onto my crotch like I do in my Bates. This had the waterfall effect of changing my leg position from putting a lot of weight into my knees (causing pinching and the habit of swinging lower legs), and creating a more natural drape in the leg with weight in my thigh and heel. This also meant my calf hung long on the horse, even when I was putting leg on, instead of wanting to curl up. Overall my feeling in the saddle was pretty good. So I was eager to keep testing it - opting to next ride with added corrective shims up front to further improve clearance. 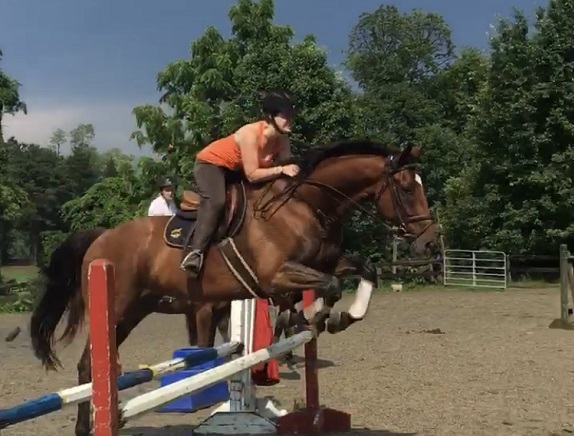 Again this made it look prettttty close for Charlie, and I felt pretty good in the saddle and eager for a chance to jump in it and get feedback from coaches. The only issue is.... Charlie's not really been as sound as I would like lately. I've been continuing to ride him lightly trying to stretch and build strength (he's not really the kind of horse you want to let sit if you can avoid it - motion is lotion and all that), but am not totally satisfied with how he feels. At least, not satisfied enough to jump him. there's that sweet charlie face!! Plus I had some nagging concerns with how he felt during those trial rides. Specifically: we were continuing to have some issues with forward. Which like, it's Charlie. That could be due to literally any of thousands of potential issues. Not limited to his NQRness, general malaise, or just being kinda blah. It didn't necessarily have to be the saddle. Just to try to control for one factor tho, I did our next ride in my Hulsebos dressage saddle. Again, there's a lot of uncontrolled factors too (like he had a day off in between) so who really knows, but he felt a lot better in that ride. More forward, softer, more supple, more relaxed. Still NQR (grr) but reasonably happy throughout the ride. 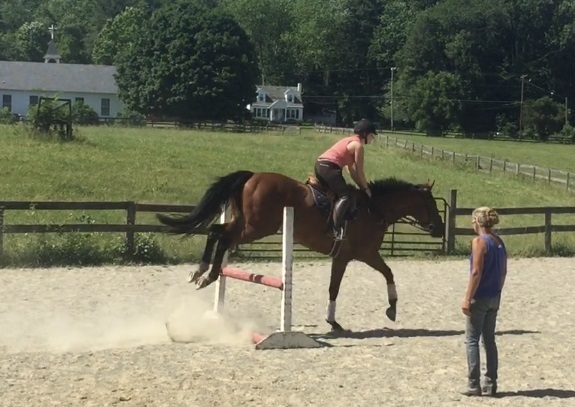 So..... On one hand I could ask the consignment shop to extend my trial (they're pretty flexible usually) and see if I can hang on to it long enough for Charlie to feel well enough to jump again. But.... Realistically I already know it's not really perfect. Possibly workable enough... but I already own a workable saddle, I don't need to blow my budget on another one when this summer already has some seriously major financial expenses looming on the horizon (thanks, moving!). So yea. Gonna have to pass on this pretty little Beval. It was a nice flirtation while it lasted. But ya know. I'm so soured on saddle shopping haha. And even more so on professional saddle fitters... So let's just hope adjusting the gullet plate in my Bates gives Charlie the space he needs in that one dimension so we can keep chipping away at everything else. Uh, including getting him sound again... Sigh. The herds at Charlie's barn finally switched to their summer turnout schedule last week. During the winter, horses are out during the day and in over night during the coldest hours. In the summer this switches so that horses are outside overnight and inside during the daytime when the bugs and heat are the worst. Additional advantages to this situation include more time spent outside overall, something I feel is preferable to any alternative. Isabel actually lived outside pretty close to 24/7, only coming in to her stall for meals and in the event of extreme weather, or instances of illness or injury. And she was quite happy with this arrangement, thankyouverymuch lol. Charlie, on the other hand, is much more comfortable spending time stalled than Isabel ever was. I'm sure much of his racing career was spent stalled, so he is already accustomed to that lifestyle. Plus especially when I was struggling to put weight on him through that first year after the track, it was useful for him to have solo time in the stall with just him and his hay. I think Charlie really appreciates his time out, tho. 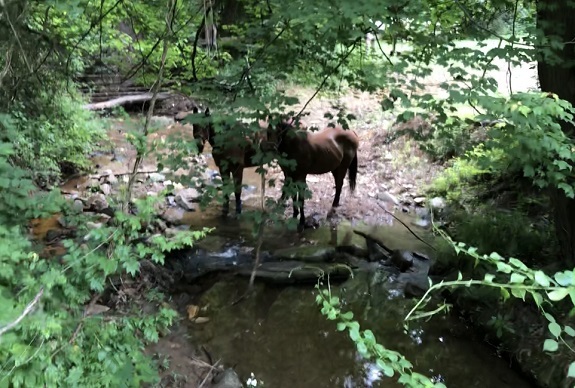 He was on the same nighttime schedule for all the months he lived at the last h/j place, and had a medium sized herd of buddies out in his field. So he's kinda had a similar schedule for much of the past two years. At this farm tho, Charlie legitimately seems much happier. And it's not really clear why. The last farm had good care and was run by thoughtful, experienced horse people. But in comparing Charlie's overall demeanor now compared to then, it's pretty clear he was unhappy there. For instance, Charlie could be very grouchy and threatening in his stall at the last place. Staff put a sign on his stall warning any workers to watch their back whenever they had to go into his stall, and they always pulled him out on cross ties for blanket changes. I personally never had the same degree of problems - but then again, nobody else can really be expected to take the same risks or be in a position where they need to be disciplining the horse. When I moved him to the new farm, I made it a point to let everybody know about Charlie's aggressive streak. Esp the woman who helped me with my blankets this past year - I made sure to tell her that she might need to tie him, and that if she felt uncomfortable bc of his behavior and didn't want to deal with him, that I wouldn't take it personally. Which, like, fine by me! Again tho, I'm really not sure what's different about the new place. But for whatever reason, Charlie just seems much happier here. I think maybe bc he just spends a lot of his time being a normal horse? Especially his herd situation seems to really suit him - he's out with a large herd (~10 geldings) and while sometimes they play hard and he's been dinged up out there, he seems really happy. Plus the fields are all really large and there's enough of them where barn management can move the herds around so that pastures and grass get adequate rest. I especially love that Charlie's summer field has a natural stream and wooded section running through it. Charlie seems to like it too - wading through all the little pools looking for the freshest, tastiest spots. bc sometimes it's nice to just kick back and relax! And with the horses back on nighttime turnout, I'm now usually turning Charlie out after my rides instead of putting him back in his stall. Something I enjoy doing bc I really like hangin out at the gate watching the horses interact out there. I've never worked at either of Charlie's barns so sometimes I feel like I'm missing out on an important part of his life by not being able to routinely observe the herd dynamics. So it's nice to watch sometimes lol. Mostly tho it's just reassuring to me whenever I can see instances of Charlie looking relaxed and happy in his day to day life. The amount of time he spends with me being ridden is just a fraction of his overall lifestyle, so it's important that the lifestyle suits him. Do you like to watch your horse in turnout? Is your turnout situation similar or very different? I know different geographic areas tend to have different setups (like west coast pipe corrals, for instance) or some barns that prefer individual turnout to groups. Have you likewise seen your horse do better or worse in different situations? Or do you have any personal preferences or "must haves" when it comes to turnout? I could tell our lesson last weekend was gonna be a fun one when I got up to the ring to see three separate lines of gymnastics set up. Yessss haha. Grids felt like the perfect exercise for gettin in our groove with something Charlie's good at and knows well. We warmed up over a simple 1-3 triple combination, first trotting in and then cantering in, before moving directly into the gymnastics. First up was a looonnnng line of jumps all set at short (18') one stride distances. We obvi didn't start with all of them set up - instead building up one fence at a time. 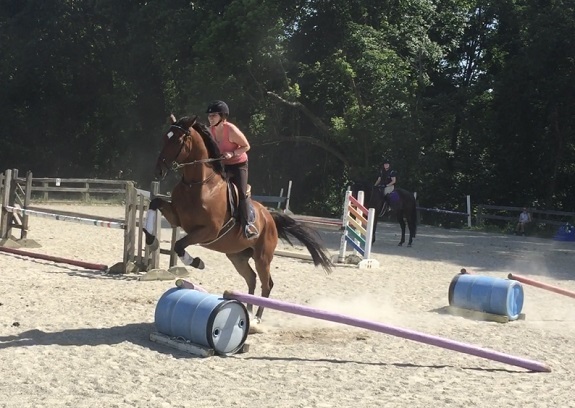 Jump 1 was just a cross rail, and we trotted in every time. Jump 2 I think was a plain vertical, but all the rest were oxers. These were the only jumps of the ride that got any height to them - finishing around 2'9ish. Considering the technicality and intensity of lots of gymnastics, we opted to keep everything else smaller. The next line was actually a two-fer. 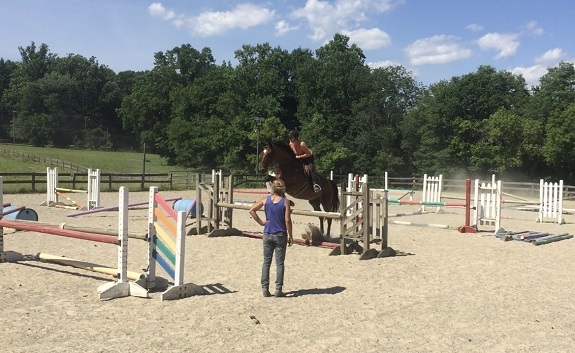 Four jumps in a row, set at short (30') two stride distances. Ridden in one direction, the first jump was very skinny and each was progressively wider. Ridden in the other direction, you started wide and finished skinny. Definitely tricksy! I kinda biffed my turn to the skinny a couple times, but Charlie jumped it just fine. He's not quite as good at two stride lines as he is with one strides, so we had to repeat it a couple times. Nbd tho. Coming the other direction from wide to skinny was definitely more of a challenge lol, and Charlie kinda had a "wtf!" moment but was a good boy and jumped it anyway. Final line was the hardest of the bunch, especially considering Charlie actually has very very very limited experience with anything skinny. The line was set as two barrels 18' apart, with V poles as guide rails. Then 3 strides to a skinny chevron with no wings. Charlie was kinda "wtf" about the barrels the first time - wanting to jump sideways over the guide rails instead of directly over the barrel. And I had a little trouble keeping him straight. Then another confused oopsie moment at the chevron. Pretty sure Charlie just didn't really realize he was supposed to jump it. We figured it out tho with the help of a guide rail, after which Charlie was able to put the whole line together a couple times in a row nicely. For his final trip too (no pic but it's on the video) we took off the guide rail again, and Charlie was still foot perfect. 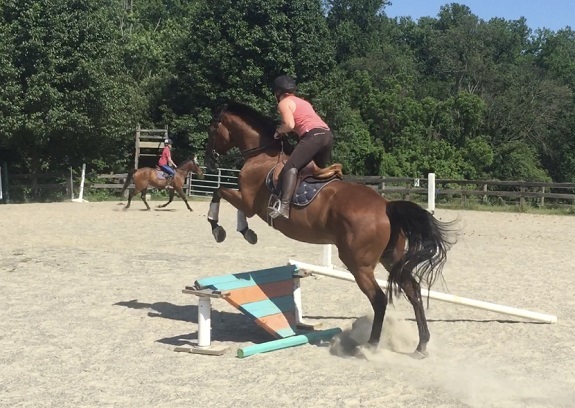 Actually, I honestly kinda under-rode the whole thing and we got to a sliiightly gappy distance, but he still just up and jumped it. That's my boy! Obvi I love doing a lot of course work in our normal lessons, but it's a lot of fun to switch it up to more technical type exercises. 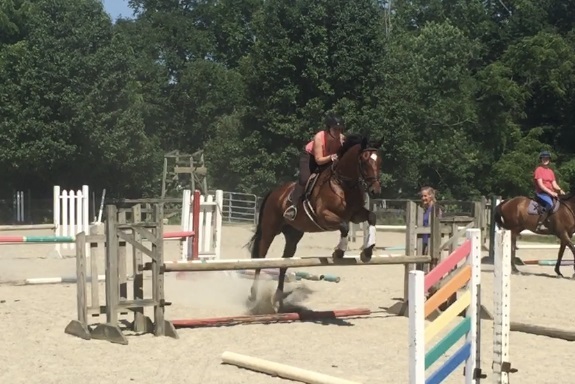 Especially with the introduction of the skinny fences - something that I always find surprisingly challenging haha, bc they really keep me honest about straightness and balance, particularly in my turns and approaches. Plus I seriously credit grid work with Charlie's education over fences. Like this past winter when we did almost exclusively grids during the months spent indoors. It really helped Charlie figure out what to do with those giant clumsy limbs of his lol! Do you ever do grid work? Or even cavaletti type exercises? Do you like introducing unusual elements like barrels and whatnot into your rides? Is there any one type of configuration you've found has been particularly useful or fun for your horse? This past week was spent mostly picking up the pieces after our disappointing attempt at Plantation's starter trial. Like I wrote last week, obviously the first step in this process is a comprehensive wellness check for Charlie, with everything on the table. I've already made some changes here and Charlie's had a few appointments with the professional practitioners who know him best. Probably more to come on that later, too. he's honestly been seeming like a happy camper lately! This all doesn't happen in a vacuum tho. And the reality is that we are dealing with some training issues, regardless of whatever comes up in checking out Charlie's general health. Those training issues need to be addressed from the saddle, and there's no time like the present! I gave myself a day off on Monday first, tho. Mostly to take a little time to sort out my thoughts and feelings. Give myself some pep talks. I wanted to really understand what happened and why, and also wanted to be crystal clear in my own mind about how to move forward. What were my objectives, my expectations? 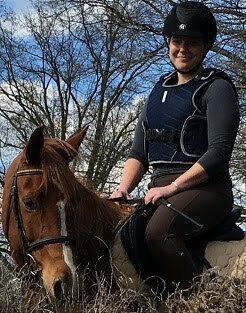 And was I prepared to get into the saddle for this first diagnostic ride confident that I wouldn't take it personally or get upset if it didn't go well? Everyone knows that famous quote saying the only emotions that belong in the saddle are patience and a sense of humor. That might make perfect logical sense printed on a poster hanging on the office wall, but it isn't objectively true for me. It isn't really my reality. Riding brings out a LOT of different emotional responses from me. Most of them pretty freakin positive. But you can't really get those extreme highs without a couple lows thrown in there too. I'm human. I get frustrated, demoralized, angry. None of these feelings are super effective in horse training tho, it's true. But they happen. So it's up to me to make sure I'm emotionally prepared before I get into the saddle to keep myself centered. I tend to hang on to things, to dwell. The memory of Plantation still stings, and will likely continue to do so until I can replace it with a newer, fresher, happier memory. For Charlie tho? Plantation might as well have not ever even happened. He's over it lol. Wayyyy past it. If I went into our first ride back feeling angry or upset about how things went down at Plantation, Charlie's would just get confused and upset too, and it would be entirely counterproductive. So these are the little pep talks I have with myself. I also pulled out some different training aids: switched my normal crop for a dressage whip, and had a pair of spurs looped through my belt in case I felt like they were needed. My thought here being: it's likely that spurs will become a regular part of our gear again. Even if I don't wear them for every schooling ride, it's not likely that I'm gonna leave the start gate without them again for the foreseeable future. HOWEVER. Given the little pep talks I had to have with myself, and given that I really had no idea how Charlie would be for our first ride back (would he be sound? sore? sour? would I be able to keep my composure? ), it seemed prudent to give myself a little bit of a buffer zone in case Charlie felt like a sulky sour mess and I got upset. Turned out tho, he felt good. Better than good - actually, he felt freakin fantastic. I still put a LOT of pressure on him during that ride tho. Because I really wanted to see. Wanted to push - give him an opening to say "No!" for whatever reason. Wanted to find out if there was a limit he was setting for what he would or would not take. Esp in the moments following breaks, when he would maybe wonder if we would be done and then be reluctant to start going again. I put a lot of pressure on those moments to see how he would react. And wouldn't ya know it, Charlie just up and took it. Carried on. Was a good boy. That alone was enough to reassure me that physically, the horse is overall probably fine. Again - none of this precludes continuing our "comprehensive wellness check" but it's still giving me a lot of information about whether Charlie actually physically feels like he can't go forward. So we'll see. I'm making some tack adjustments, evaluating other aspects of Charlie's day to day care, scheduling appointments. Nothing is ruled out (is that ever even possible with horses anyway?) but again our day at Plantation looks increasingly more like the confluence of many small issues that snowballed into one giant catastrophe of a performance. And the vast majority of those issues have more to do with me and my approach to riding Charlie than anything else. As far as I can tell, it basically boils down to pressure. Charlie has always been a somewhat pressure-averse horse. Since the very beginning of his time with me. We hit a low point during our first winter together when I basically slammed into the wall of Charlie's sticky stuck resistance in a schooling ride, and was not able to work through it. The ride ended without resolution, and I felt at a complete loss for what to do and worried I was in WAY over my head. I hauled Charlie to OF the next day (this was before we boarded here) for a much-needed lesson with trainer P. And she reinforced the lesson that I'm now facing with Charlie again: Yes, it is of critical importance that I'm fair to him and that he's physically able to do what I ask of him. Simultaneously, however, I have to give him black and white guidelines on what's considered acceptable behavior and what is not. And as of that day, with trainer P holding my own toes to the fire, Charlie's refusal to move forward officially was deemed unacceptable. In no uncertain terms. And I had to be vigilant about this. Every ride. Every step. If I failed to correct even the slightest indiscretion - Charlie sucking back when I put my leg on, or even just kinda ignoring me - Charlie would escalate to full on refusing to move. At first, when I started correcting the small stuff we'd end up having our throw-down dinosaur-stuck-in-tar-pit tantrums right away, instead of slowly building up to the eruption over the course of a ride. The fights came faster and sooner. and more often. But they also became shorter and less intense. Instead of Charlie completely refusing to move and threatening to go up - he'd maybe just break gait for a couple steps before begrudgingly going forward again. And eventually those moments of attitude faded to nothing more than a brief moment of pinned ears with a sky-high brontosaurus neck and head before carrying on as normal. So here's where I made my mistake. Over time, as things continued to go so well, and as Charlie proved himself again and again to be SUCH A GOOD BOY OMG HOW DID I GET SO LUCKY, I kinda forgot about that vigilance. Kinda forgot that I had to stay on guard for those small little indiscretions lest I risk Charlie escalating again. This was compounded by Charlie's seemingly never ending string of dings. When you're constantly in the cycle of "bringing the horse back into work," it never really feels like the right time to have it out, to end up in a big fight, or risk pushing him if maybe it really was a physical thing bugging him. Plus I wanted so badly for him to stay happy, to stay eager, to keep being a good boy. I didn't want him to be sour or dull, and was maybe afraid to push anywhere near the direction of those earliest tar pit days. What I forgot was: things didn't become consistently good with him until we were past that. Charlie didn't really relax and settle into his work until he was pretty clear that there weren't other alternatives - or at least not any alternatives that were easier for him. Charlie became a happier, easier riding horse when I was the most diligent about clear rules, with consistent black and white treatment of what was acceptable and what was not. And in slipping up in that regard, in becoming more lackadaisical, it became easier for Charlie to explore other options. To feel like, maybe if he didn't really wanna, then he didn't really havta. Instead of being able to have a quick clear discussion about "Yes we go forward now plz" in warm up at Plantation, the issue sorta simmered and steamed throughout show jumping and well into our cross country course. Where we started fizzling out over jumps, with Charlie dealing with the subsequently very uncomfortable jumping efforts. So that's basically my big grand hypothesis of our current training issues. With the answer being that it's mostly up to me to be more disciplined in the saddle. To be more clear, and more consistent. And to not shy away from the sticky moments but meet them head on. Getting back to those first few rides last week after the show, I wanted to go back to the basics of Charlie's willingness to accept pressure. I see the ability to take pressure as being something like a muscular strength. The only way to improve it is by exercise -- but too much too fast will result in a strain or tear. Just like anything else in horse training, you can't just go from 0 to 60. Which, "60" in this example being: cantering out the start box away from friends and perceived safety in an environment that looked a little spooky (ie: Plantation's unique wide open hillside layout). That makes "0" something simpler, like a spurt forward from my leg. Even just at the walk. But that's gotta be the bare minimum, right? Like there can't be anything less than that. So this is where our pressure training really starts: Charlie must move forward off my leg. Every time. No exceptions. In the arena, during the walk up the driveway. On the trails. Wandering around the field. Always. So we'll see. Charlie honestly has felt pretty good this week. Hopefully I can keep it up! We've been keeping up a fairly busy schedule for the past few weeks around here. And what with all the horse shows and big lessons and whatnot there's been so many thoughts and feelings (and pictures and videos) I've wanted to share that a lot of the smaller details, the "in between" moments have kinda gotten lost in the shuffle. Like signing up as a last-minute warm up ring steward for the Dressage Festival at Loch Moy last weekend. It hadn't been a part of my original plan, but they desperately needed help and I'm a huge Loch Moy fan so.... I went. And guys, it was POURING OMG. A ton of riders scratched, but actually not as many as you might expect and we were there all the way up until 5pm. Honestly I was pretty impressed with how tough some of these folks were, riding their tests despite the horrendous conditions! It was an especially cool moment when both my trainer P and another OF barn mate were in side by side rings at the same time haha. They both did the farm proud!! Really tho, I gotta say I really enjoy stewarding warm up rings. I like talking to the competitors, and I esp like being the one small spot of organization in the personal chaos that can be any one individual's show day experience. When I'm competing, it always makes me a little worried when the stewards don't seem to know whether things are on time, early, or late. Or if they don't have answers to questions about which ring riders are in, or other general logistical stuff. So as a steward, that's the stuff I always try to have handy and it's really gratifying to be able to help keep riders relaxed by being able to answer all their questions! Another secondary benefit to volunteering at the show was getting to hang out with Austen too, haha. Tho she was more generous than I, and signed up for volunteering both days. And what's better after a long day spent at a show in the rain than getting to head out to her new farm, where both boys are now living together?? Add a couple tall boys to the mix and it sounded pretty perfect lol. It had actually been a while since I'd gotten to see Pig (I saw Bast earlier this winter but Pig had already moved by that point). The big guy is lookin good these days!! Plus Austen's new barn is located near some cool trails. I'm always surprised by how few fitbit steps I get doing an activity like stewarding. I guess even tho I'm on my feet all day, I'm not really logging enough "walking" activity to register as foot steps??? Idk, either way I needed to get moving haha. It was a pretty day for a hike too - with the river reeeeeally high with all the rain, and the woods looking particularly dark and charming lol. Speaking of tall boys out in the Maryland jungle, Charlie's herd recently relocated back to their big summer pastures. This field is neat bc it has a muddy sacrifice area at the front of it that opens on a stream for 24/7 fresh water, then leads out to giant grassy pastures up the hillside. I had always worried that Charlie would be funny about drinking from the stream since he was so averse to water in the early days. But.... according to this video, I was definitely wrong lol. Which ya know, I could have guessed anyway considering he's become such a pro out in the woods too. As mentioned yesterday, Charlie and I have been spending the lion's share of our time out there. For long quiet hacks and for more purposeful trot sets. And actually some barn mates have been wanting to join up with us lately too! Anyway, I already wrote about scribing at another twilight event too. I still haven't ridden in one of these myself considering the logistics involved with a weekday evening event are.... challenging for me. But in light of Charlie's and my recent "problems," trainer P thinks we need to get back out again, STAT. So I might be looking into this more seriously soon.... We'll see. These are such cool events - they're super low key. Riders are encouraged to do their dressage tests in jump tack and go immediately to the jump rings. Stadium is straight forward, and then for cross country all the jumps are lined up row by row, and you just jump whatever height you feel like, no matter which level you entered. Perfect for schooling up or down depending on how your horse is feeling. And no ribbons or anything, nothing formal scored at the end of the day -- so no pressure no matter your intentions. And honestly maybe I kinda see trainer P's point in looking back at all my pictures from rides leading up to the disastrous Plantation outing lol. Bc yea... they all look like this haha. Not that I don't love hacking! And Charlie loves it too! But he only knows what I tell him, and if 80% of the time I'm telling him that his job is to mosey lazily about the country side.... well it's not unreasonable that he might be surprised that other 20% of the time when I'm like, "But buddy, you gotta GO like RIGHT NOW!" Don't worry tho, we won't abandon hacking entirely. It's too fun getting out there with friends (and Riley dog!!) and a very important part of keeping Charlie physically and emotionally balanced. I just maybe need to be a little more thoughtful in formulating a routine that works better for us. Actually Charlie might even kinda like it haha! He's definitely got a love for all things outdoorsy. Like trying to sneak in on his neighbor pony's window even tho he has his own even bigger window (with grass right within reach!). True story, he also reaches over the stall wall to steal this pony's hay. Perks of being tall, I guess! You know what's not a perk to being tall tho?? All that extra coat real estate. Like when you see that flattened spot in the mud and just know that it's your own giant brontosaurus who laid down and wallowed in all the slop. And anyway I guess that lesson wasn't all bad. I mean, it was pretty awful, I'm not going to lie, but we were able to find a solid place to quit, with Charlie being successful (and responsive) over a simple exercise. You're still a good dog, Charlie, even if you don't always feel like bothering! But for the most part, it's all the quiet little in between moments with horses - all the time spent with friends or going slow or just doing normal random every day stuff that helps keep me happy and motivated to work through the less-fun parts.